Location/ Directions: Take I-91 to exit 6 in Vermont. Take a left off the exit onto Route 103 North. Follow Route 103 North for about 16 miles (watch for sharp right turn on 103 in Chester). Castle Hill Resort is on your right hand side at the Junction of 103 and 131 before entering Ludlow. About Hotel: 2-Stories, Interior Corridors, In-room services and amenities include high-speed wireless Internet access, telephone with voicemail, flat-screen cable TV, mini-refrigerator, coffee/tea maker, clock radio, iron and ironing board, electronic/magnetic keys, complimentary local calls, blackout drapes, hair dryer, and bathrooms with complimentary toiletries. Railroad View: Fair view from rooms on the west side (front) of the hotel's 2nd floor. (1st floor could be blocked by cars in the parking lot. View would be "good" but a numbers of trees along Route 103 could obstruct the view, however there is a view between the trees. The railroad is across the roadway, and a small river. Railroads past Hotel: Green Mountain RR (Vermont Railway). Only about 4 trains daily pass this hotel. Photo Comments: This photo is taken from the hotels driveway shows the railroad roadbed in the distance (Roadbed can be seen behind the stop sign). Though not a clear view, the trains are visible from the motel. A grade crossing to the south will give you a heads up of an approaching train. 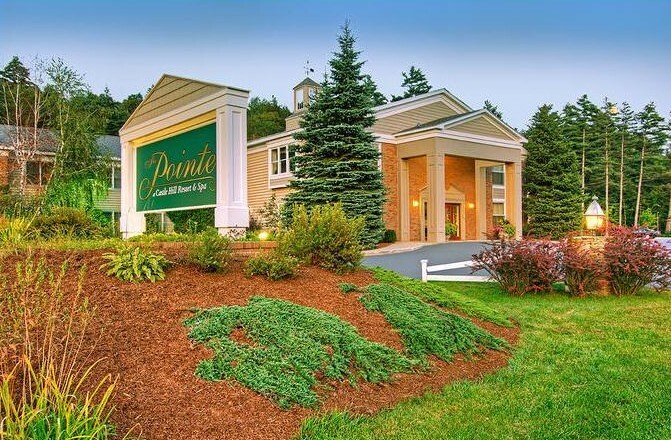 Location/ Directions: At the intersection of I-89 and I-91 in historic downtown White River Junction across from the Amtrak train station and 1 mile from the Vermont Transit bus station. 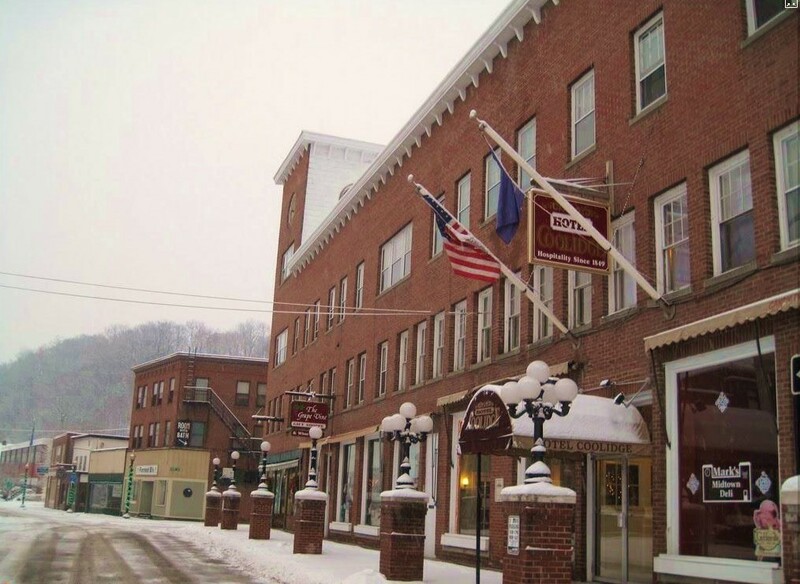 About Hotel: 3-Stories, 53-Rooms, Interior Corridors, Rooms with private bathroom & furnishings, wireless internet, satellite tv, free local calls, heat / air cond, electric, parking, plowing, trash removal, weekly housekeeping & 24 hour front desk-self-service laundry facilities. Railroads past Hotel: New England Central / Pan Am Railway / Amtrak. Although this line is the busiest in Vermont, it only sees about 10 trains during a 24-hour period. Notes: This hotel is on the National Register of Historic Places. It’s located across from the White River Junction Amtrak station. Any rooms on the 2nd or 3rd floors on the east side (front of building) should provide a good railroad view.